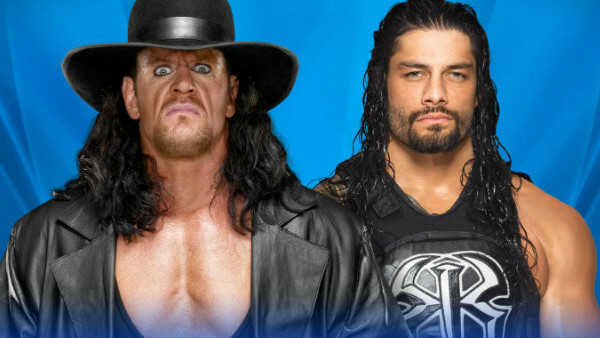 Though it was all but official after last week's Raw, WWE.com confirmed Monday that The Undertaker will go one on one with Roman Reigns at WrestleMania 33. The seeds for the confrontation were first sewn at the Royal Rumble, where Reigns was a surprise entrant at #30. 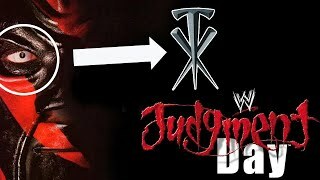 Though he didn't win (Randy Orton eliminated Reigns to claim victory in the bout), he managed to eliminate Undertaker, who was banking on his first victory in the match in a decade. That didn't sit well with "The Phenom," who gave Reigns an ominous stare from the arena floor. Coming off a victory over Braun Strowman at Fastlane, Reigns was in the ring last Monday on Raw to meet the former Wyatt Family member when the lights went out. Sure enough, Undertaker intercepted Reigns in the ring, pointed at the WrestleMania sign, and chokeslammed "The Guy" to end the show. The bout joins other major matches already announced for WrestleMania, including Universal Champion Goldberg versus Brock Lesnar and WWE Champion Bray Wyatt versus Randy Orton. WrestleMania airs live on the WWE Network on Sunday, April 2 at 7:00 PM.